The Reggae Anthology of the Jamaica's first dancehall superstar, Yellowman. 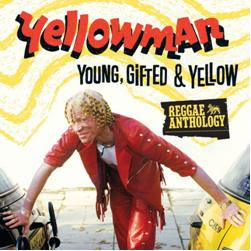 This week, 17th North Parade unlocks its vaults once again to unveil the latest Reggae Anthology, Yellowman's Young, Gifted and Yellow, from the undisputed king of dancehall. This powerful 2CD/DVD collection features 40 fully remastered essential tracks of both classic and obscure material throughout Yellowman's prolific career. The first set of the anthology opens with his early ‘80s breakthrough hits like Mad Over Me recorded for Channel One, Death of Barnabas, Operation Eradication and the infamously ‘slack’ Shorties. The second disc moves toward his later hits like Who Can Make the Dance Ram (a rewrite of The Candy Man), Zungguzungguguzungguzeng (one of Jamaica’s most sampled songs to this day), Nobody Move Nobody Get Hurt and a cover of Fats Domino’s Blueberry Hill. Feel like buying it ? Click on the iTunes link here.